Fat cats in Parliament may be at the top of the earnings pile but when it comes to our pets, cats that are fat are on a losing streak. When do cats get fat? Obesity usually occurs in middle-aged cats, and generally in those that are between the ages of 5 and 10. Why do cats get fat? Obesity is diagnosed primarily by measuring a cat’s body weight, or by scoring its body condition, which involves assessing its body composition. Your veterinarian will do this by examining your cat, palpating its ribs, lumbar area, tail, and head. The results are then compared to the particular breed standard that your cat best matches. 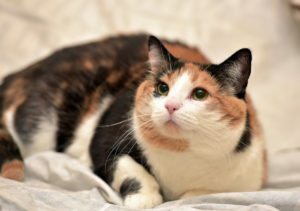 How can I help my fat cat to slim down? Diets that are rich in dietary protein and fibre, but low in fat, are typically recommended. 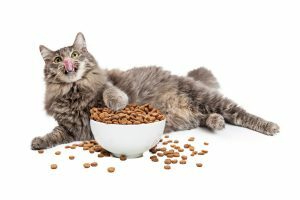 Protein stimulates metabolism and energy expenditure, along with giving the feeling of fullness, so that your cat will not feel hungry again shortly after eating. Dietary fibre stimulates intestinal metabolism and energy use at the same time. Speak with your vet or EberVet Vetshop about the best diet for your cat. Avoid free-feeding. Establish set mealtimes and follow the food manufacturer’s portion instructions to the letter. Don’t be tempted to give your cat from-the-table treats. Increasing your cat’s physical activity level is vital. 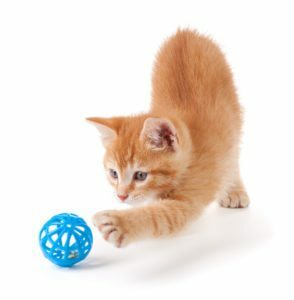 Cats like to play but they need to be stimulated to do it. Try a laser light (most cats can’t resist chasing them) or cat-specific toys. There is a wide range at EberVet Vetshops. Join the Hill’s Pet Slimmer Programme at a participating veterinary surgery such as Country Animal Clinic and EberVet Pet Clinic. This supportive programme not only offers free weigh-ins and exceptional nutritional advice but there are great prizes to be won too! Call Country Animal Clinic on 021 851 1500 or EberVet Pet Clinic on 021 854 3275 for more information.